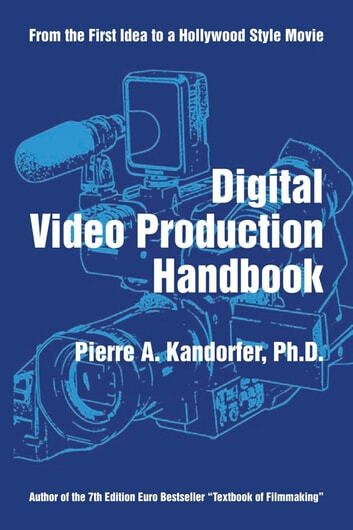 von Pierre A. Kandorfer Ph D.
Would you like to learn how to write, shoot, produce, edit and direct professional digital videos? 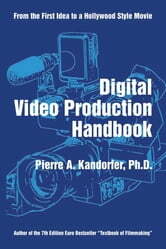 This handbook does just that: From the first idea - to a Hollywood style movie! Our worldwide digital explosion requires a new kind of How To books. Why? Most photographers are not just still-photographers anymore. Journalists, reporters, editors, camera operators, photographers depend on digital video knowledge. Nowadays, advertising, marketing, public relations and Internet communications people work more with video than ever before - in addition to workers in education, training and all kinds of instructional areas. Colleges and universities are teaching students who want to become professional media experts. This is a didactically new, learning-focused approach presenting all basic standard knowledge you need in order to professionally write, produce, shoot and direct digital video. Follow me!